What Makes Cooke Aquaculture Unique? and neighboring Canada. The United States imports about ninety percent of the seafood that is consumed in our country. Many people feel that an expansion in the farming of the ocean will be a lifesaving necessity in the future. Over the years farming the waters off the coast of Maine has faced significant obstacles. The entire Downeast area of Maine was affected by the downturn in the sardine industry, the decline in groundfishing, and the closing of an Eastport fishing plant that made fertilizer in the 1980’s. While several salmon farms were introduced in Maine over twenty years ago, the salmon industry faced many challenges and underwent a dramatic decline. There were issues of disease, elimination of waste, predation, additional environmental restrictions, and a changing economic climate that affected the market. The three largest salmon operations in the state at the time - Atlantic Salmon, Stolt Sea Farm, and Heritage Salmon all shut down and ended up for sale. 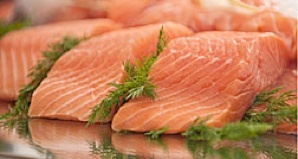 Cooke Aquaculture, a company based in Canada for the past twenty-five years, purchased all three salmon operations and several leases for salmon farming in Maine. They are the premier salmon farmers in the state. With their many years of experience, their advanced technology, and their complete handling of all aspects of the process of raising salmon from the “egg to the plate,” salmon farming in Maine is on the rebound. Thanks to Chuck Brown, the Communications Manager of Cooke Aquaculture, Unique Maine Farms received a warm welcome to tour the Deep Cove salmon farming site in Eastport in August of 2013. 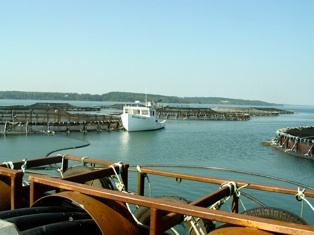 One of Cooke Aquaculture’s popular sayings is “Farms don’t stop at the land.” If you ever have the opportunity to tour one of the salmon operations in Maine, you will learn how there are many similar challenges faced by farmers who farm the sea, as well as farmers farming the land. Both terrestial farmers and sea farmers have to deal with factors such as weather, disease, supply and demand, and predators. Like their agrarian counterparts, salmon farmers have learned that it is essential to rotate the area where crops are raised. 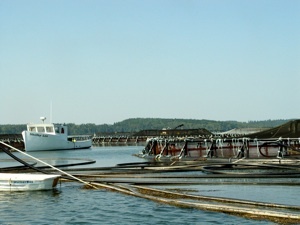 In the one hundred salmon farm leases that Cooke Aquaculture owns in North America, at least one-third of the pens are left fallow. There was a time in the early days of salmon farming that seals and birds wreaked havoc on the penned fish. Many fish fell victim to predation or ended up escaping due to the damaged netting. 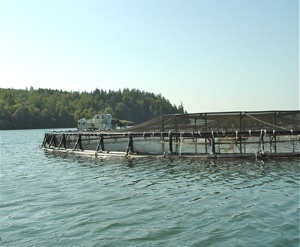 Cooke Aquaculture prides itself on the advancements that they have made to ward off the seals and birds with a highly-developed system of three preventive nettings. Their pens can withstand ninety miles per hour winds. 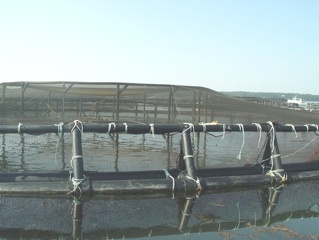 Cooke Aquaculture builds their own cages and net and grid systems. 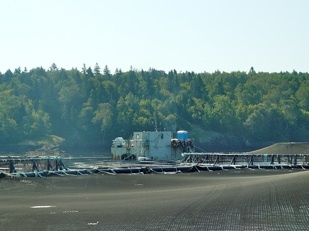 Amidst the fifteen pens situated in the Deep Cove facility is the feeding barge. On the day that Unique Maine Farms visited, there were approximately 450,000 salmon that were swimming in the Deep Cove pens. 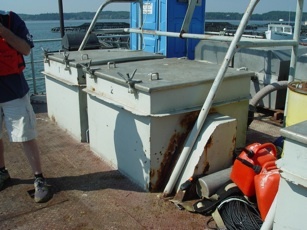 Brian Jones was monitoring the feeding station located on the barge. 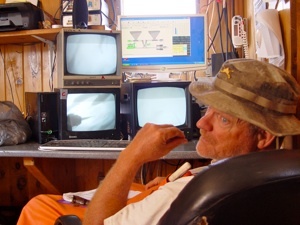 Brian and two other employees share twelve-hour shifts to assure that the fish are always monitored and fed. 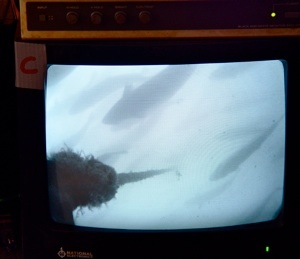 Underwater cameras allow the feed barge employee to see when sufficient food has been consumed by the fish. 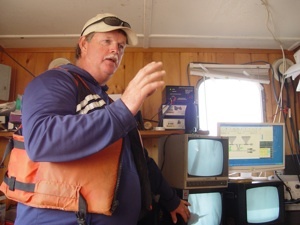 David Morang, the manager of the Cooke Aquaculture salmon operations in the Eastport and Lubec area, has been involved with the fishing industry for thirty years. When Guilford Industries closed in Eastport in 1985, he worked at the mill in Baileyville for six years. He was happy to return to the water when Heritage Salmon began their operation. 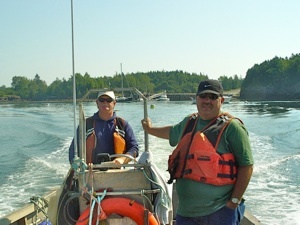 When Cooke Aquaculture purchased Heritage Salmon, he became the manager of the salmon operations at Deep Cove and Broad Cove in the Eastport area and at South Bay in Lubec. There are also other Maine lease sites in Starboard in Machiasport and in the Mount Desert Area that are managed by Cooke Aquaculture. The advancement in technology and the innovation that have been introduced at Cooke Aquaculture are most impressive. The broodstock fish are a select group of fish raised at the Cooke hatchery that never leave the hatchery. They are monitored through a small glass chip. 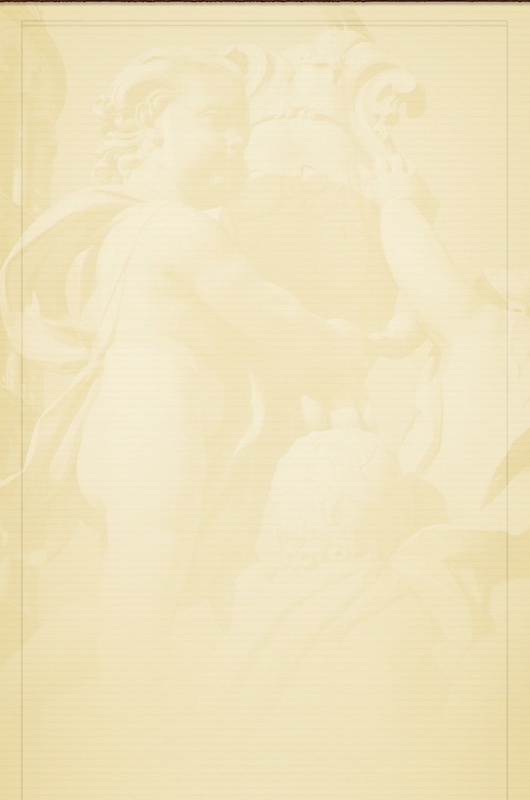 Information such as growth rates, gender, health concerns, and weight are evaluated. Fish with desirable traits are chosen as the future parent salmon or broodstock. The fish in the pens are not monitored by chips but rather information about them is traceable based on a DNA marker that is unique in each fish, similar to a fingerprint. process of the fish from the various stages of spawning, fry, smolt, to the mature fish of about ten pounds. 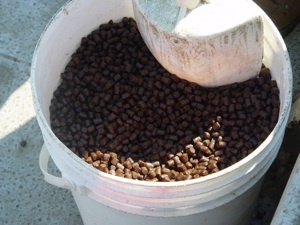 Cooke takes care of the cleaning and gutting process, as well as the processing. A new processing facility was opened in Machiasport in 2009 that employs 107 workers. Michael, and Glenn Cooke in 1985, as Kelly Cove Salmon, with a single salmon pen with five thousand fish. 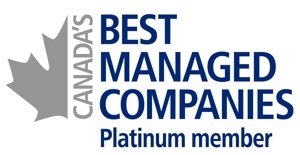 The company now employs 2500 individuals with fishing operations in Maine, Canada, Chile, and Spain. They sell over 160 million pounds of Atlantic salmon, five million pounds of trout, and twenty million pounds of sea bass and sea bream each year. Mussels have recently been introduced at the South Bay site in Lubec. 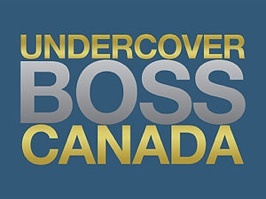 Anyone who has watched the video Cooke - Undercover Boss Canada will learn how family and community are major priorities of the company. 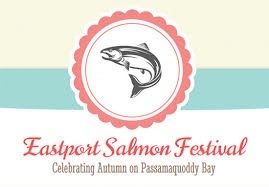 David Morang explained how Cooke Aquaculture has been a dedicated sponsor of the Eastport Salmon Festival and a generous contributor to the Eastport community. At times, acceptance in the community has met challenges as there are individuals who feel that salmon farming can harm the wild salmon stock and that penning and treating fish for disease can be detrimental to other organisms in the marine environment. It has not always been “clear sailing” for the company, but they have made a commitment to move forward and correct any decisions that proved to be counterproductive to the safety of the marine environment. and sustainable practices. 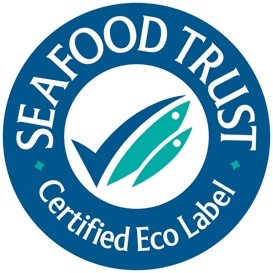 They evaluate their progress with the assistance of the CQS/ECO Seafood Trust. 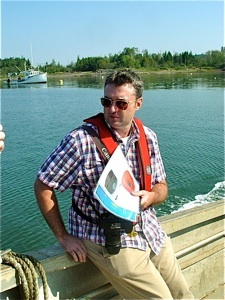 Research is encouraged at Cooke Aquaculture. 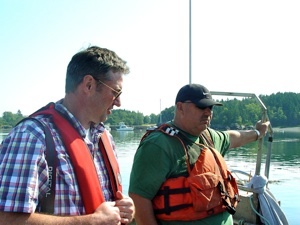 Deb Bouchard , manager of the University of Maine’s Animal Health Laboratory and the Assistant Director of Aquaculture Research for the Aquaculture Research Institute, has conducted extensive research on salmon in the Downeast area. 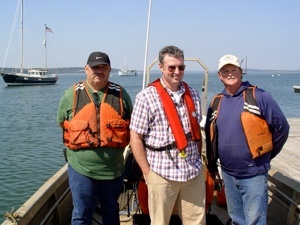 Dr. Bill Walters, the USDA Center Research Leader in Franklin, and Dr. Nick Brown, a University of Maine researcher, have been conducting studies on raising salmon and have shared their findings with Cooke Aquaculture. The future for salmon farming in Maine looks bright as more people have become aware of the health benefits that salmon provide including the omega-3 fatty acids that are known to reduce heart disease. Cooke Aquaculture has diversified their offerings so that consumers have several choices including fresh whole salmon, fillets, portions, kabobs, and skewers. Their hot or cold smoked salmon can be served as pates, terrines, and mousses. From left: David Morang, Chuck Brown, and Butch Stanhope.